Indian smartphone maker Xolo has expanded its portfolio of 4G enabled smartphones with the launch of Xolo LT2000, which is priced at Rs. 9,999. The handset has pretty good specs and is priced decently. Recently, we have been watching a few handsets with 4G connectivity which are being priced as low as possible to attract the consumers and Xolo LT2000 is another example of that. Talking about the specs, the Xolo LT2000 features a 5.5 HD (1280 × 720 pixels) display with scratch-resistant Dragontrail Glass and improved touch. The smartphone is powered by a 1.2 GHz quad-core Qualcomm Snapdragon 410 (64 bit) processor, coupled with 1GB of RAM. Xolo has stated that the LT2000 will offer seamless data processing, giving access to multiple apps without slowing down the device performance. The Xolo LT2000 has 8GB ROM, which can be further expanded upto 32GB via microSD card. 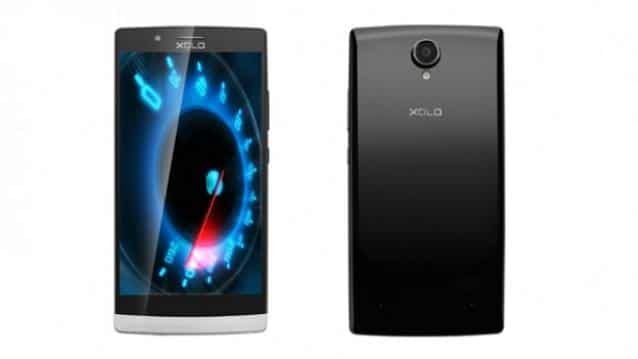 The Xolo LT2000 sports a 8MP rear snapper with BSI sensor and a 2MP front camera. The dual SIM phone runs Android 4.4 KitKat and will be upgradable to Android 5.0 Lollipop. In terms of connectivity, the device includes 4G LTE, dual-SIM (4G+2G) card slots, Wi-Fi and Bluetooth. The Xolo LT2000 comes packed in with a 2,920 mAh battery. Xolo has also added an app called 6degrees for LT2000 users which is a self updating phonebook app. The app will fulfill all contact management needs like calling, messaging and managing connections and will ensure that the phonebook is always updated. Users can also search for shops and restaurants, or request friends for their contacts. The app will be available to the LT2000 users through an OTA update very soon, and it can also been downloaded from the official support site. The Xolo LT 2000 is available via major e-commerce sites like Flipkart, Amazon and Snapdeal.